It was June 2010 when Sean Ellis introduced Growth Hacking (GH), but it would be another 2 years before it would see significant traction. According to Google Trends, the search term “Growth Hacking” was at its peak a few months ago. Mobile App Startups, SMBs, and large corporations alike use GH tactics with the purpose of increasing conversion rates and rapidly growing their mobile user base. And it works! But what happens after you acquire a user? These days, consumers download new apps on a regular basis. Apps they are very happy to abandon or even delete if it doesn’t immediately fit into their daily usage behavior. 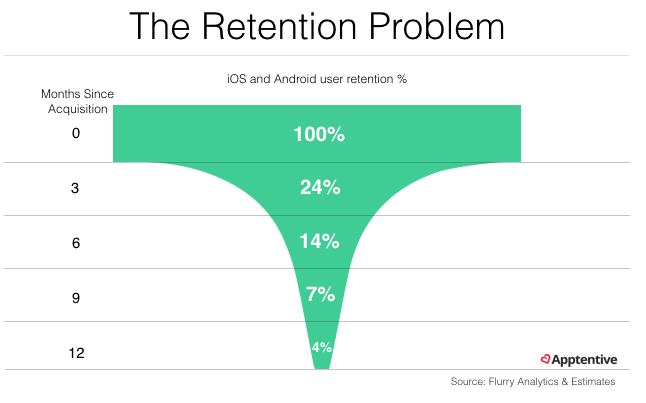 As a result, the largest problem in the mobile app ecosystem is app retention. Within 3 months after acquiring a user, around 80% of your customer base will probably be gone. So in other words, you spend $1,000, you acquire 100 users and after 3 months you have lost 76 of them. What went wrong? You may have mastered your growth funnel, but it’s time to focus on retention. 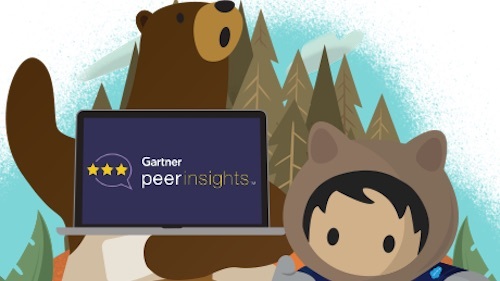 The good news is, even minor efforts made towards improving retention have the potential to make a significant impact on your overall growth metrics. 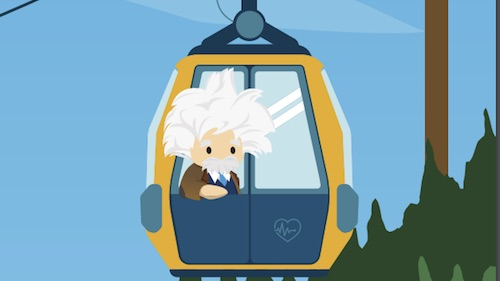 We’ve all heard the old adage: it costs less to keep a customer than to acquire a new one. This is true not only for established companies but for startups as well. According to Fred Wilson you should “focus first on your 90 day retention numbers and make sure to nail them and prove you have product market fit. Then scale.” It may seem counter intuitive to put retention before growth but let’s take a look at why it works. There are several ways you can approach retention and find ways to keep your mobile app users happy and engaged, but this post will focus on the mobile app experience. How does that relate to profits? Amazon saw that 100ms delay decreases sales by 1%. Ok, but what if you’re not an e-commerce platform, and your app lags a little, what’s the worst that can happen? 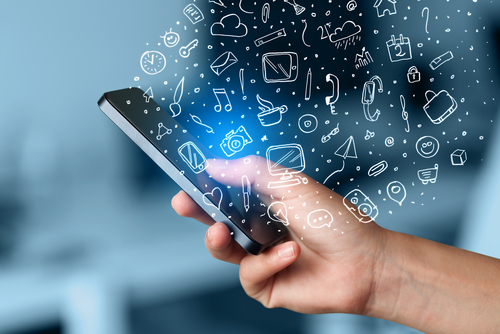 Well, in a recent poll by Compuware, 48% of users who were dissatisfied with a mobile app performance said they would be less likely to use the app again. While 34% said they would actively switch to a competitor’s app and 26% are more likely to leave a negative review in the App Store they downloaded it from. Those bad reviews? They have an impact as well – 84% of users said store ratings play a key role in their decision on whether or not to install an app. And we’ve come full circle in our growth + retention cycle! As you can see, retention relies heavily on user satisfaction. You may want to delight your mobile users with new features, animation, interactive graphs, bigger images and videos, but as it turns out, having a blazing fast app can be the number one feature of your product. Ok, so we’re all on the retention hacking train and ready to go full steam ahead. But how do you speed up your app? Having a CDN and a Mobile App Accelerator is the secret sauce. 70-90% of latency occurs in the last mile so just having a CDN is not the complete solution. As illustrated above, speeding up your app even by 100ms can have a huge impact. So, what do you think? Is Retention Hacking more important than Growth Hacking?